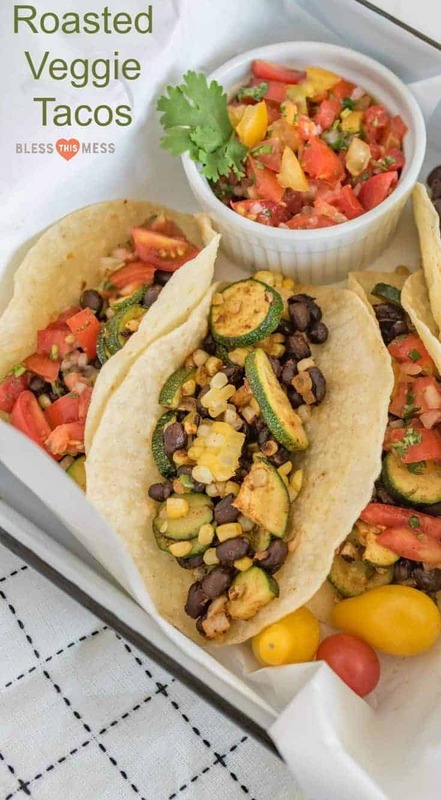 Quick and Easy 20-Minute Roasted Zucchini, Corn, and Black Bean Tacos are loaded with flavor, baked in the oven, and loved by the whole family! Early fall is such a great time of the year. One of the best parts in my opinion is the loads of fresh produce available before the first killing frost hits. My garden is filled to the brim with tomatoes, peppers, squash, beans, sweet corn, and so many other things. Produce that fresh and organic tastes amazing. 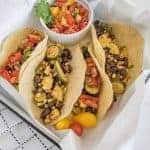 Today I’m sharing a super quick and easy taco recipe that is made from all kinds of garden goodies. 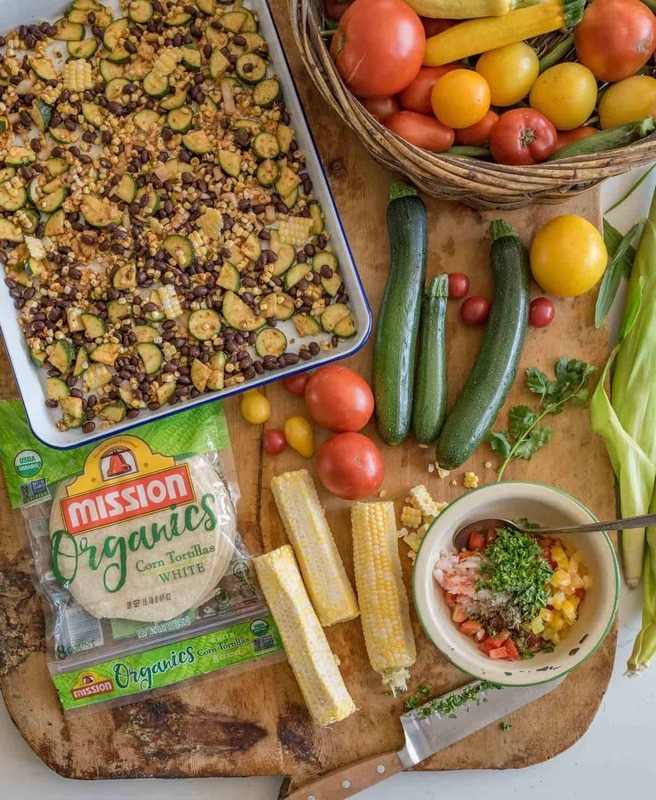 I stuffed all of that vegetable goodness inside of Mission Organics® White Corn Tortillas and then topped them with more veggies because organic produce this time of year deserves a few stand-alone dishes. It’s such a treat to work with Mission Organics White Corn Tortillas today, and you are going to love having them in your kitchen, too. The tortillas taste like corn fresh from the garden. They really do have so much flavor! 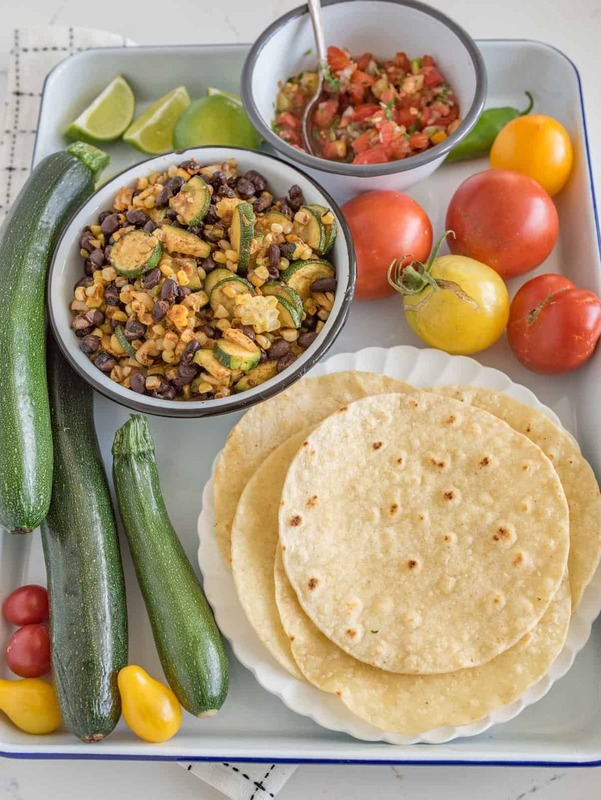 I love these tortillas because they are certified gluten-free, made with high-quality, wholesome ingredients, are USDA-certified organic, are Non-GMO project verified, and are super easy to find (look for them in the normal tortilla section of the grocery store). 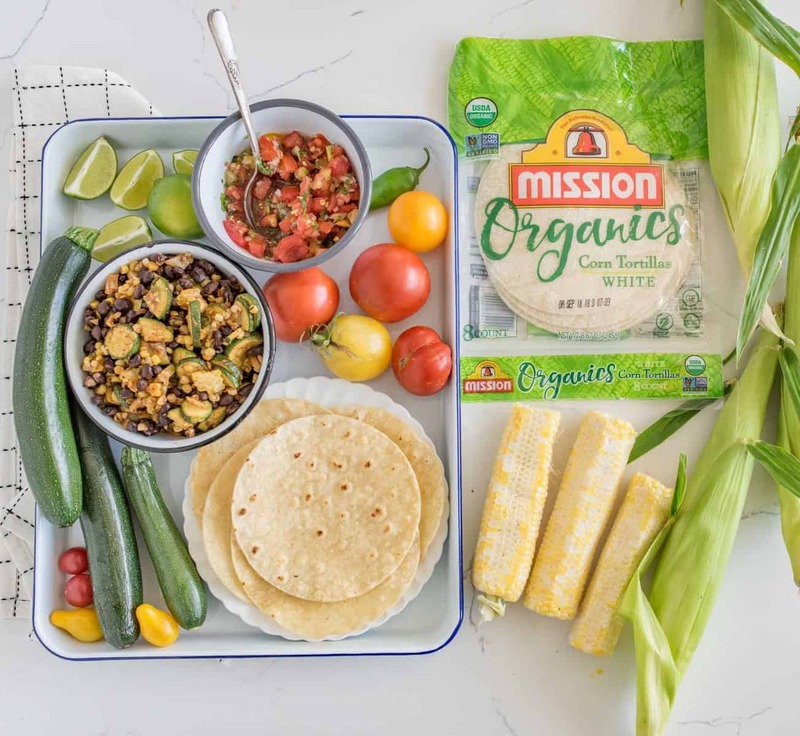 Mission Organics has a full line of organic corn, flour, and whole wheat tortillas and 4 different kinds of organic tortilla chips (get all the details on their website). Simple ingredients never tasted so good. 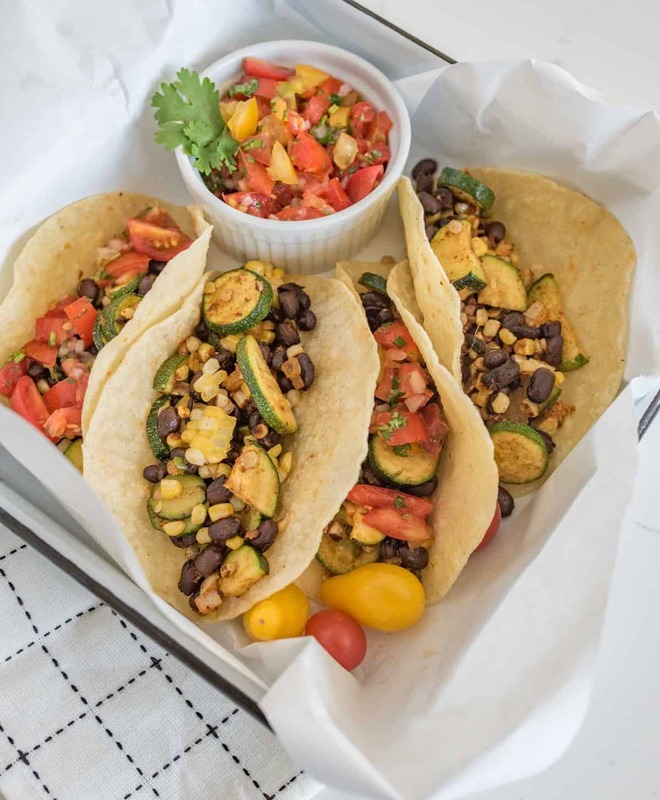 Mission Organics White Corn Tortillas are the perfect vessel to get some of that roasted zucchini, corn, and black bean taco filling to your mouth. I love this dish because it’s super simple, easy to make, quick (hello dinner on the table in 20 minutes! ), and full of flavor. It makes a great meatless meal (which is easy on the budget). My kids gobbled this meal up! Use the bounty and fresh organic produce that early fall has to offer and make these tacos today. No garden of your own? Ask friends and family on Facebook if they have any extras to spare (and offer a trade if possible; we hobby farmers tend to love a good trade). 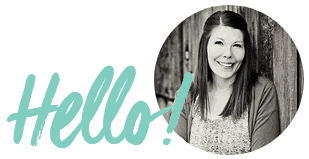 I’m always trying to get rid of produce this time of year – there’s just so much all at once! You can also hit up your local farmer’s market. Supporting the local community is always a great idea. If using a larger zucchini, simply cut in down the middle, stem to blossom end, and remove all of the large seeds with a spoon. Cut into wedges and then slice into nice bite-sized pieces. The jalapeño adds just a bit of heat and is delicious, though optional in this recipe. If you’d like more heat consider adding an additional minced jalapeño to the roasted veggie mixture and one to the fresh salsa. Garden fresh tomatoes and sweet corn are a must for this recipe. Both just taste so much better than store-bought. If you want to skip the fresh salsa or have a little extra time, this homemade Simple Salsa Verde Recipe is so great on these tacos. Preheat a medium-sized cast iron skillet over medium high heat. When the skillet is hot, add one Mission Organics® White Corn Tortilla at a time, cooking for about 15 seconds, then flip and repeat on the remaining side. The goal is to lightly char and warm the tortilla. The jalapeño adds just a bit of heat and is delicious, though optional, in this recipe. If you’d like more heat, consider adding an additional minced jalapeño to the roasted veggie mixture and one to the fresh salsa. My garden and growing food is my happy place. 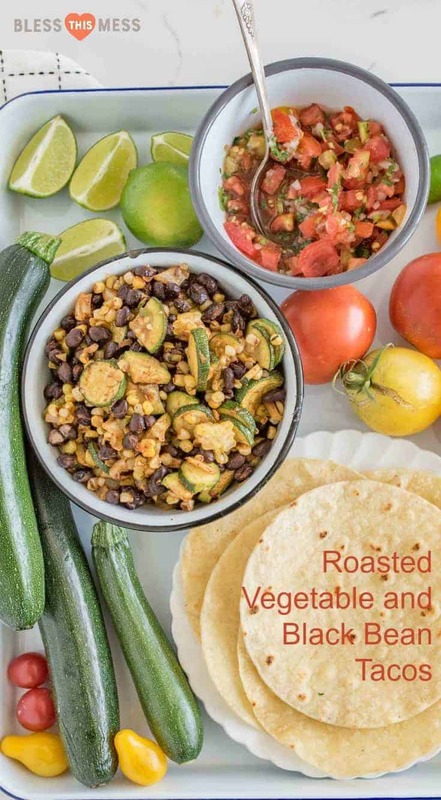 And there you have it – one easy nutrition taco recipe that is perfect to highlight all of the delicious organic vegetables that are in gardens and at the farmer’s market this time of year. 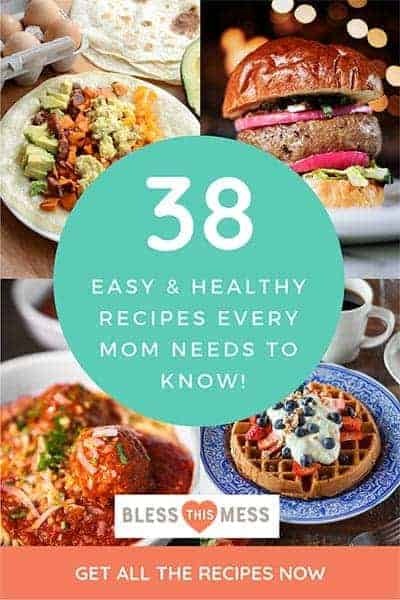 This recipe is so tasty and quick! Its also been a great way to add in more veggies into our diet without even having noticing! Yesssss lets eat alllll the veggies inside of tacos! This combination sounds SO GOOD! I love following your hobby farm. This is so fun! Thank you friend! Your family would love this recipe! I love all the farm-fresh veggies in there. And your garden is so gorgeous! 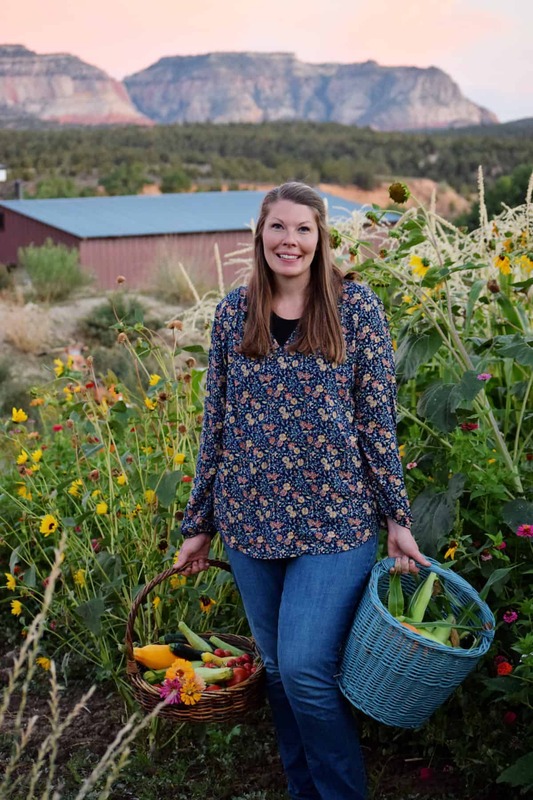 Wonderful garden and great fresh recipes go hand in hand, delicious! Thank you! You’d LOVE this one!